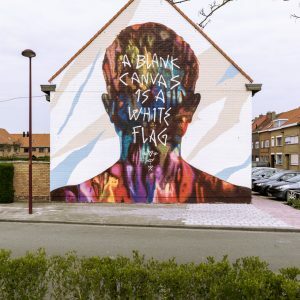 After painting large colorful murals all over the globe, Waone from Interesni Kazki finally got around to turning one of his dreams into reality – painting a black and white mural. 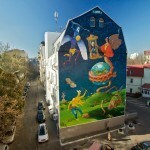 As a big fan of ancient engravings, Ukrainian artist wanted to do a large line based piece for over 4 years. 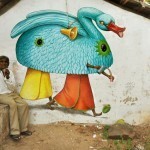 And during his recent visit to Verkala, India, he finally made it. 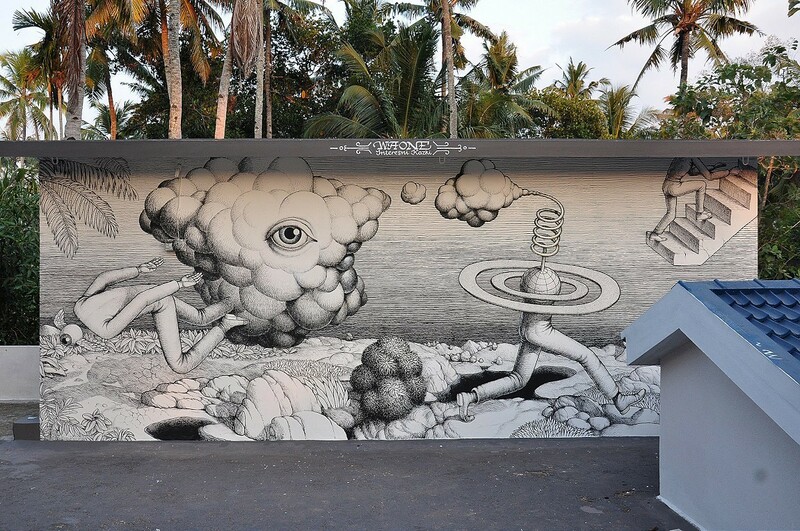 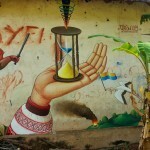 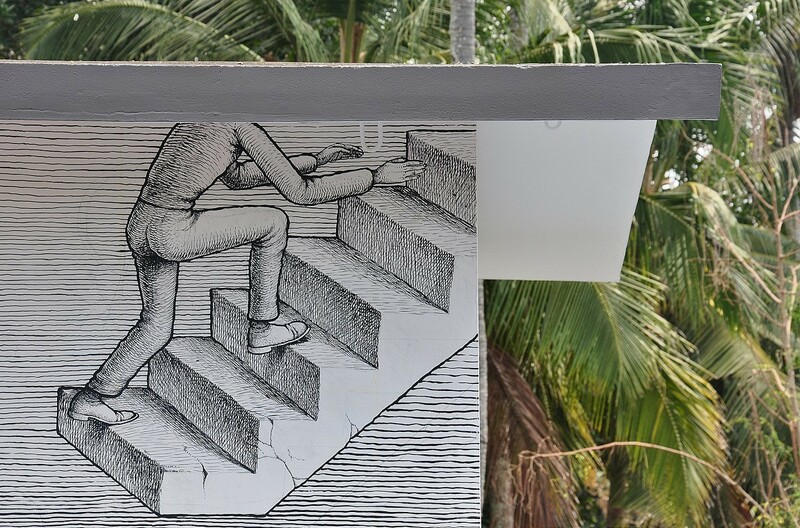 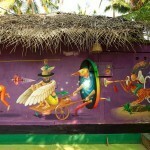 Painting in the warm Indian weather, Waone draw this detailed surrealistic mural that talks about the global climate change. 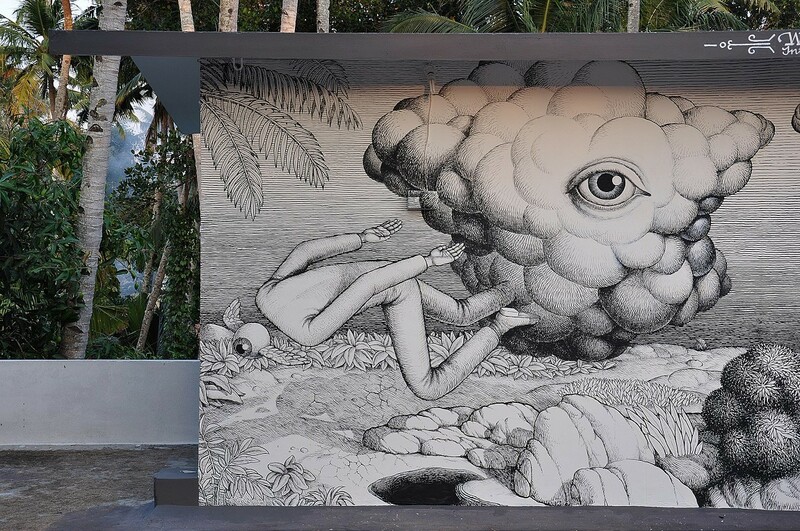 Using same technique as for his paper drawings he’s been creating for years, this large scale drawing looks impressive to say the least. 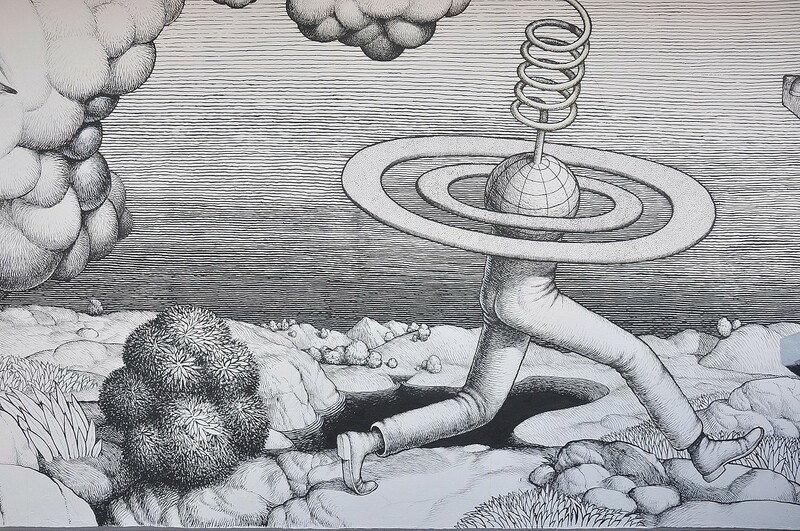 With countless lines of different size and thickness, the artist created textures, depth and light effect, while depicting surrealist scenery filled with symbolic and hidden messages. 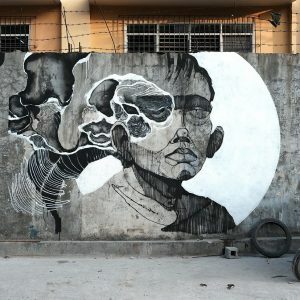 Check out more detailed images of the finished piece after the jump and check back soon for more updates on Waone’s black and white experiments.